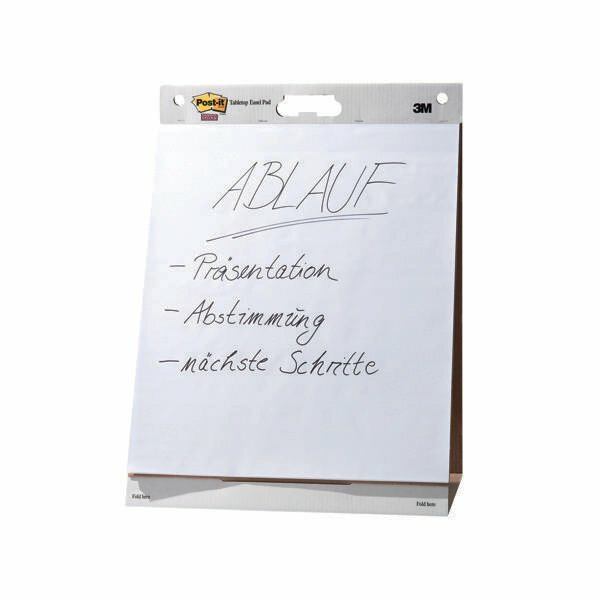 This Post-it easel pad contains 30 self stick sheets of premium, bright white paper, which resists ink bleed through for professional presentations and collaborative work. The Super Sticky adhesive is designed to adhere to most surfaces and can be repositioned and removed cleanly. 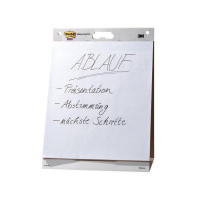 The pad comes on a sturdy backboard with a convenient handle for transportation and slots to fit most easel stands. This versatile pad measures 635 x 762mm. This pack contains 6 plain white pads.